The Time Lords owned a lot of TARDISes, but the Doctor's TARDIS is special. As we see in the 1996 TV Movie and the episode 'Journey to the Centre of the TARDIS', the Doctor's TARDIS contains the Eye of Harmony. This is the power source to all the Time Lord's TARDISes, created by Omega and harnessed by Rassilon... so why is it in the Doctor's TARDIS? If we look at the extended canon of the novels, Time Lord society was built by three individuals: Rassilon, Omega and a shadowy figure called 'The Other'. The book 'Lungbarrow' which was based on an unmade television episode reveals that the Doctor is a reincarnation of the Other and as such is a major player in Time Lord society. It stands to reason that his TARDIS is far, far more important than other Time Lords'. In 'The Pandorica Opens', the destruction of the TARDIS directly causes the annihilation of all of time and space and the total collapse of the universe. This is very strange though, as clearly many TARDISes were destroyed in the Time War. If destroying a TARDIS is such an apocalyptic event, how come the universe didn't end sooner - it defies belief that this is the first time a TARDIS has ever been destroyed! "He's ancient and forever. He burns at the centre of time and can see the turn of the universe." The TARDIS does not move through time and space. Time and space move around it. It is literally "the centre of time". The TARDIS is special, containing the Eye of Harmony and being the personal transport of one of the greatest figures from Time Lord history. It is not just a fixed point in the universe, it is THE fixed point, literally the centre of the universe. The TARDIS does not travel to the past, the universe shifts around it. 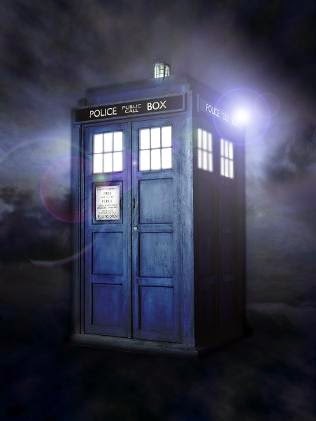 If the TARDIS moves five metres to the left, it is actually the universe moving five metres to the right. The TARDIS being the keystone of the universe perfectly explains how its destruction can end it, as well as its special unique nature. Except when he resumed Donna from RoboSantas, we see the TARDIS flying down the highway. Tinfoil hat not required...this is spot on!